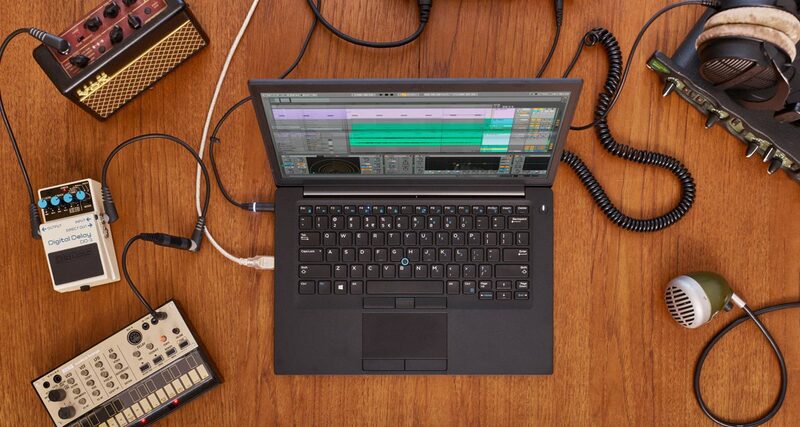 Ableton Live 10 is the latest incarnation of the popular digital audio workstation and it brings a host of design and performance tweaks, workflow enhancements and new devices including the Wavetable synth, Drum Buss compressor and Pedal guitar-style effects. The best just got even better – highly recommended for new DJ/producers and experienced music makers looking for a forward-thinking app compared to more traditional DAWs like Pro Tools and Cubase. 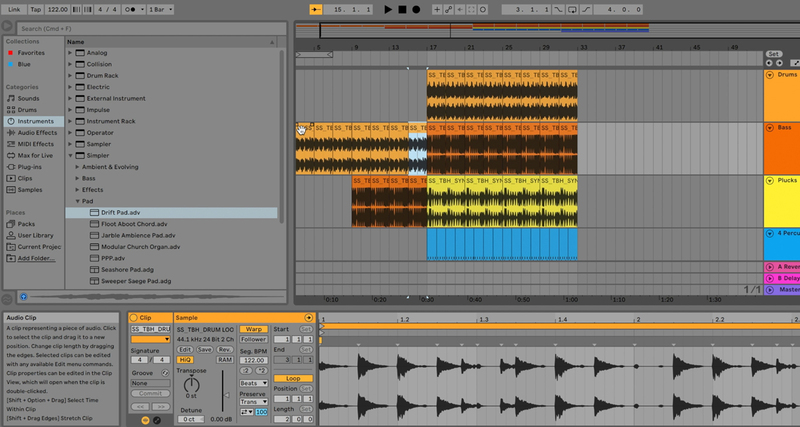 Ableton Live comes in three flavours: Intro, Standard and Suite. Intro is the entry-level version that gives you just the essentials as far as included sounds and plugins (called Devices) go, but is also the cheapest at US$99. Dabblers and absolute first-timers who want to get a taste of the DAW will find enough to mess around with for a while, though one of the biggest handicaps of this is version is that you are limited to just 16 audio and Midi tracks. Standard is a better entry point for those wanting to get into music production as the 16-track count limit is lifted. You also get a lot more plugins, including the superb EQ Eight plugin (a combination of a graphic EQ with a frequency analyser so you can “see” how your track sounds). It comes in at US$449 which is a significant investment, though one that is justifiable by the sheer power and usability of Live as a software that’s at the heart of any contemporary music production studio. Suite is the top-tier version that comes with all the bells in whistles including over 70GB of sounds, additional plugin Devices, and an add-on called Max For Live that lets you code your own custom plugins and extension for Live. A solid option for intermediate producers and those who really want to dig in deep into the Ableton Live ecosystem. Installation is easy: once you’ve picked your version of Live, you then download it to your computer (it works on Mac and PC) and just follow the installation prompts. Ableton Live is known for being a DAW that has dual workflows / views known as Session View and Arrange View. Session View looks like a grid: the top has empty cells called “clips” that you can drag sounds onto, while the bottom has track controls like volume faders and knobs. You can then launch any number of clips in a row to play simultaneously in a quantised fashion, and they will keep playing in a loop until you stop them. This makes Session View excellent for performing onstage (the “live” aspect of Ableton Live) because it lets you play sounds on-the-fly while staying in time, letting you improvise with little risk as far as timing goes. It’s also great for sketching out music ideas quickly because you can just drag and drop loops, swap them in and out, and make adjustments while the whole project plays without skipping a beat. Apart from adding sounds like loops and samples onto clip slots, you can also add in Midi clips. Midi clips contain Midi data – think of them as musical instructions – and they trigger musical notes in a synthesiser or drum plugin that you’ve added in a track in Session View. This is another reason why Session View is great for both live performance and sketching ideas, because that means you can create your own melodies, chords, basslines and drum patterns using Midi clips and soft synth / drum plugins. Arrangement View is the second workflow, and is the more traditional interface: it’s got a timeline that goes from left to right and you place your audio and Midi clips into your tracks. This is more for arranging your tune since you’re now able to place them within a definite time frame, and this is also commonly used in studio situations where you’re recording (or “tracking” in studio engineer parlance) instruments, musicians and outboard Midi gear. This is the kind of workflow you’ll find in other DAWs including Pro Tools, Logic, Studio One and Cubase. 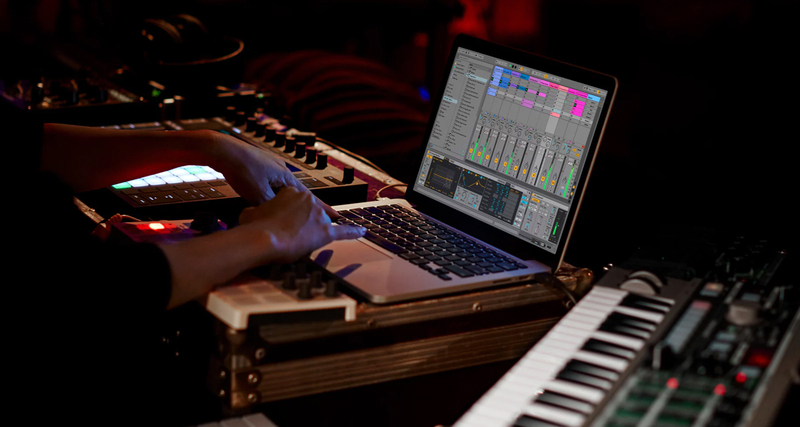 Ableton Live comes with its own software instruments that let you create sounds, play melodies, and program drums. These include Drum Rack, which is an instrument that lets you add drum sounds and trigger them, Simpler which is a sampler that lets you tweak, re-pitch and manipulate a piece of audio, and Impulse which is a drum sampler with extensive modulation options, filters and controls. These are included in all versions of Live, and Standard and Suite come with even more instruments for expanding your tonal palette including Analog, Bass, Collision, Tension and Wavetable. There are up to 46 audio effect plugins that come with Ableton Live, ranging from essential ones (Compressor, EQ Three, Reverb, Simple Delay) to more creative use plugins (Vinyl Distortion, Pedal, Amp, Frequency Shifter). These can be placed in either audio tracks (which hold actual audio data / audio clips) or in Midi tracks (which contain Midi data / Midi clips). If you pick Standard or Suite, you’ve already got a full complement of plugins that can answer to just about any need in modern dance music, though you may still want to purchase third-party plugins depending on your workflow (the FabFilter Pro-Q EQ is one of my favourites, for instance). Live also comes with up to 16 Midi Effects which can only be used in Midi tracks, and these include Arpeggiator, Chord, Pitch, Random, Scale, and Velocity. 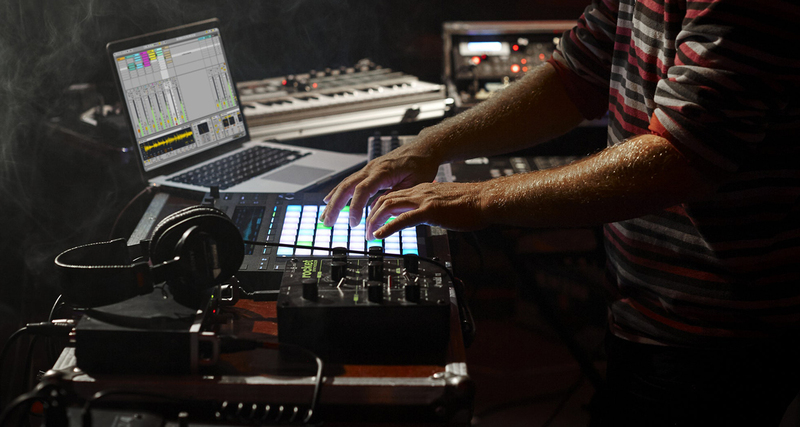 Ableton Live can be used with just about any Midi controller out there thanks to its Midi Learn functionality, but there are also controllers that work with it straight out the box: Ableton’s own Push 2 is a grid pad controller that’s got a high-resolution OLED display onboard and rotary encoders, perfect for both performing Live with Session View or for producing in the studio. Other controllers include Novation’s Launchpad, which was one of the first controllers made for Ableton, the Akai APC 40 Mk2 which has pads, a crossfader and channel faders onboard, as well as boutique gear such as the Monome Grid. 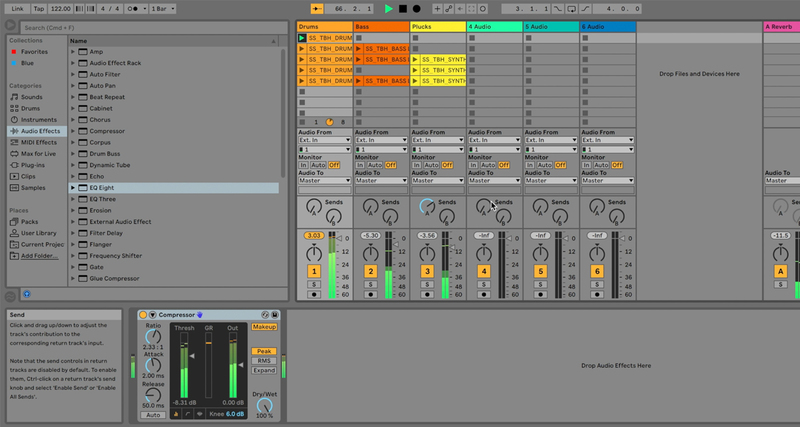 Max For Live is Ableton’s platform that lets you create your own devices like effects, and instruments. These devices can fundamentally change the way Live works, and you can use them to extend the capabilities of the DAW such as using Live for visuals. Max For Live also lets you create devices that change the way Live works with outboard gear like hardware synthesisers and audio interfaces, letting you make custom routings and mappings to suit your needs. Granted these are more for advanced users – there’s an entire community of Max For Live builders and creators – but it’s worth taking a look at later on when you’ve wrapped your head around the fundamentals of Live and would like to explore the maker possibilities that it has to offer. DAWs today are more powerful than ever, but Ableton Live sets itself apart from everything else thanks to its dual workflows and ability to dig in deep thanks to Max For Live (a DAW called Bitwig does offer the same dual workflows ethos, though it’s made by former Ableton engineers). It’s pricey, especially if you’re going the whole hog and picking up Suite, but it really includes everything you need to make electronic dance music, whether you’re going for house / techno, hip-hop, and even experimental / noise or ambient music. With a feature set and plugin package this compelling and robust straight out the box, Ableton Live is one of the best DAWs for DJ/producers for music making and is probably the only DAW that’s also intuitive enough to be used for live performances. It’s a platform that’s worth investing time and effort into, not only because it lets you do so much, but also because its constant development means that you’re likely to use it for a very, very long time. Highly recommended.